Next to the Katsumori fishmonger. Also known as "5-chome station." 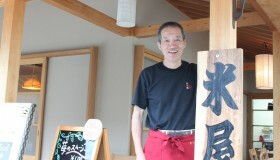 The current owner of Yoneya is a third-generation family member of the fresh fish retailer. 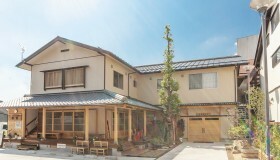 Katsumori has been established about 130 years ago. Each morning the fourth generation junior goes to the market to buy fish, so that the skilled and experienced third generation can do the cooking. 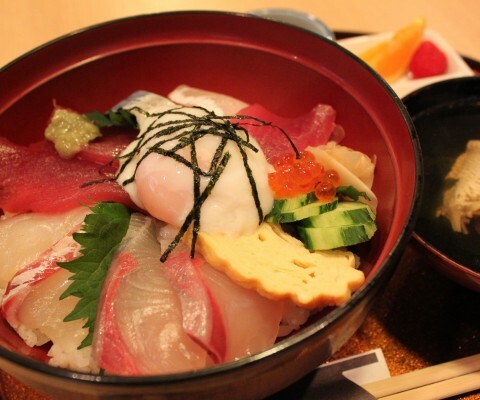 In addition to the seafood bowl, the lunch menu also offers set meals like Negitoro (tuna with green onions), Satuma (fish paste with miso), Sashimi, etc. For dinner the restaurant is only open upon reservation. 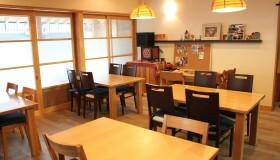 We offer a Japanese-French cuisine course (from 3,000 yen) using fresh fish and vegetables. In summer, please enjoy Kakigori (shaved ice) with carefully selected fruit of local production.